The court was hearing a criminal defamation complaint against Shashi Tharoor for his comment that PM Narendra Modi is "a scorpion seated on a Shiv-ling". The court will deliver the order on whether to summon Shashi Tharoor or not on April 22. 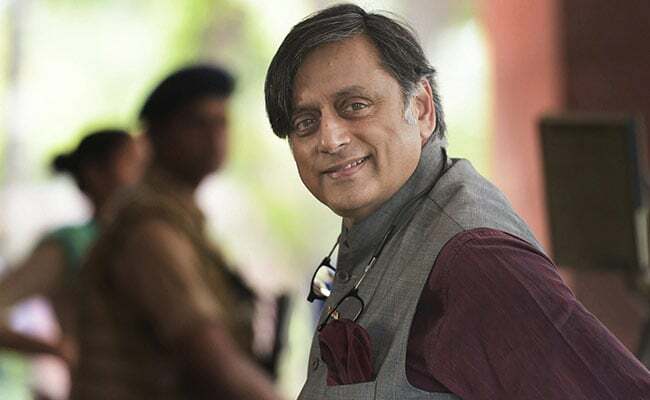 A Delhi court on Monday reserved its order on issuing summons to Congress Lok Sabha member Shashi Tharoor in a defamation complaint filed by the Bhartiya Janata Party (BJP) leader Rajeev Babbar. Additional Chief Metropolitan Magistrate Samar Vishal said that he will deliver the order, on whether to summon Mr Tharoor or not, on April 22. The court was hearing a criminal defamation complaint against Mr Tharoor for his comment that Prime Minister Narendra Modi is "a scorpion seated on a Shiv-ling". Mr Babbar has filed the complaint alleging that Mr Tharoor made the statement with mala fide intention, which not only denigrates the Hindu deity but is also defamatory. Mr Babbar requested the court to initiate proceeding against Mr Tharoor under Section 499/500 (defamation) of the Indian Penal Code. Speaking at the Bangalore Literature Festival on October 28, 2018, Mr Tharoor had said, "Modi is like a scorpion sitting on a Shiv-ling. You cannot remove him with your hand and you cannot hit it with a 'chappal' (slipper) either." Mr Babbar said he was hurt by the comment as it is not only baseless, but also misleading and defamatory. He also told the court that he considers PM Modi an inspiration, and has the highest regards for the Prime Minister.